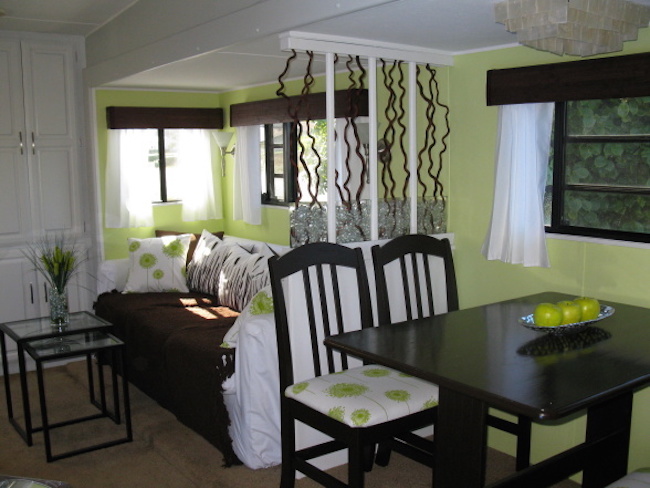 When trailers get outdated people tend to throw them away and go for something new. This wasn’t the case for HGTV user Harborlizard. 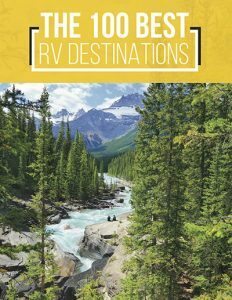 She went out of her way to re-design her plain RV interior into something modern and breathtaking. 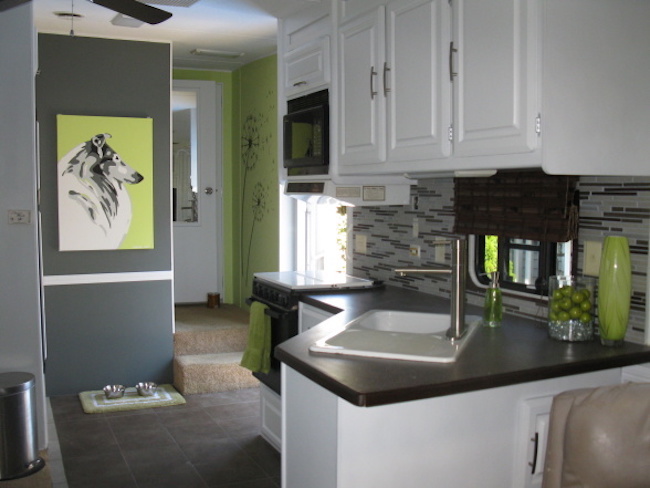 Besides the regular paint job and hardware upgrades, she gave it a unique touch by adding handmade paintings and outstanding vinyl decals on the walls. She even upholstered the chairs. Needless to say, the turnout was amazing. 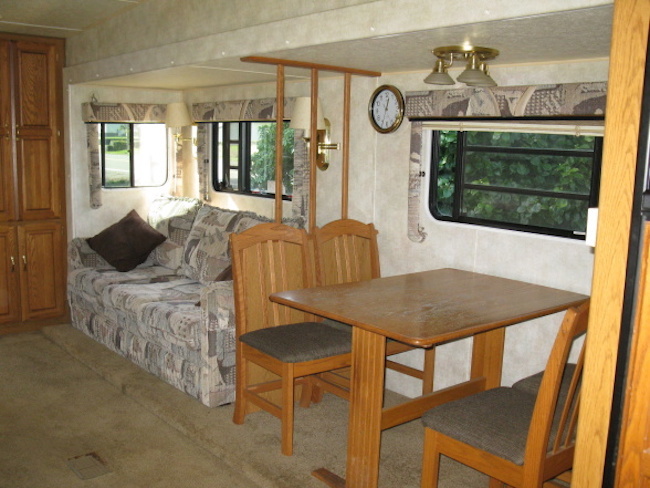 This is here dull and un-inspired Rv before the remodel. The hallway was in a bad shape, and the wall paper looked dull and life less. And let’s not talk about that weird painting. Oak, oak, and more oak dominated the bedroom. 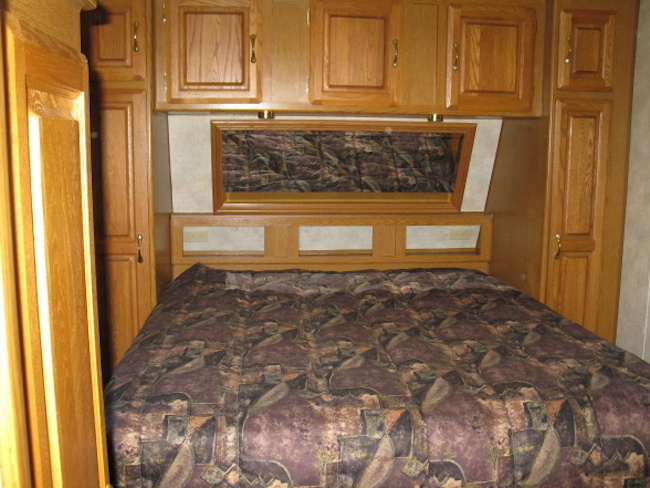 But this RV renovation sure did brightened the mood. The chairs look new, the couch is absolutely fabulous, and that coffee table brings in a splash of modern. 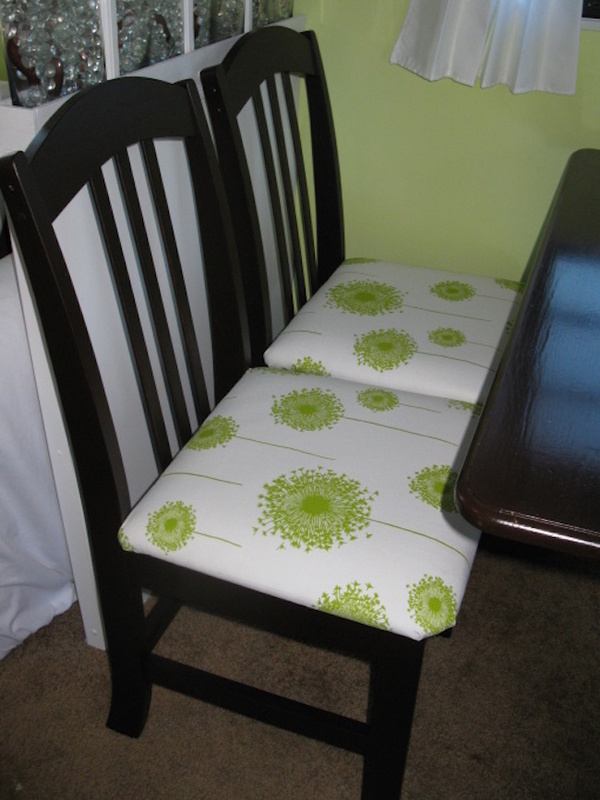 The chairs were re-stained and reupholstered in contrasting dark stain with bright white and green patterned fabric. 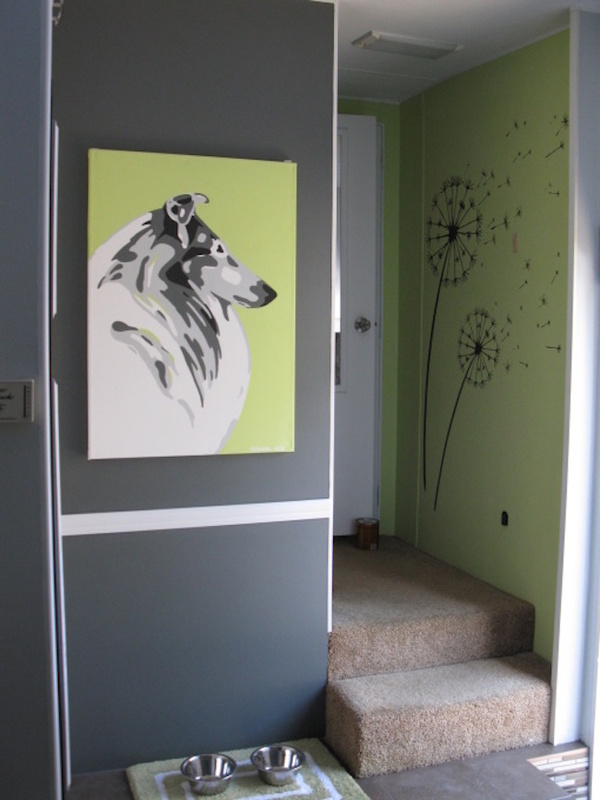 A homemade painting and some vinyl stickers add a splash of interest to the hallway. 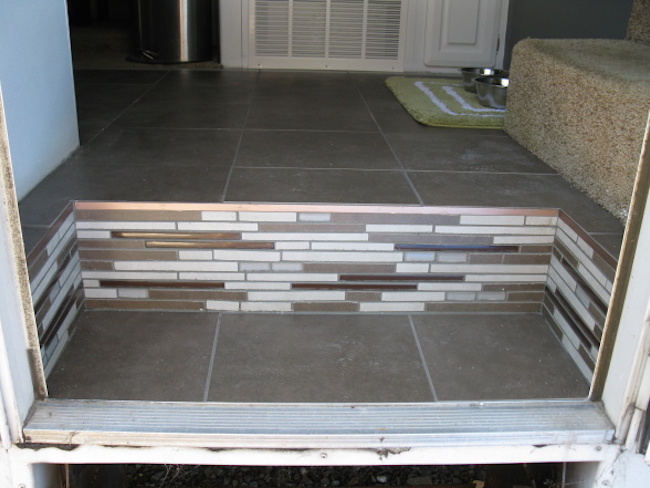 The entranceway got a new look with look alike glass tiles that stick on tiles for easy installation. 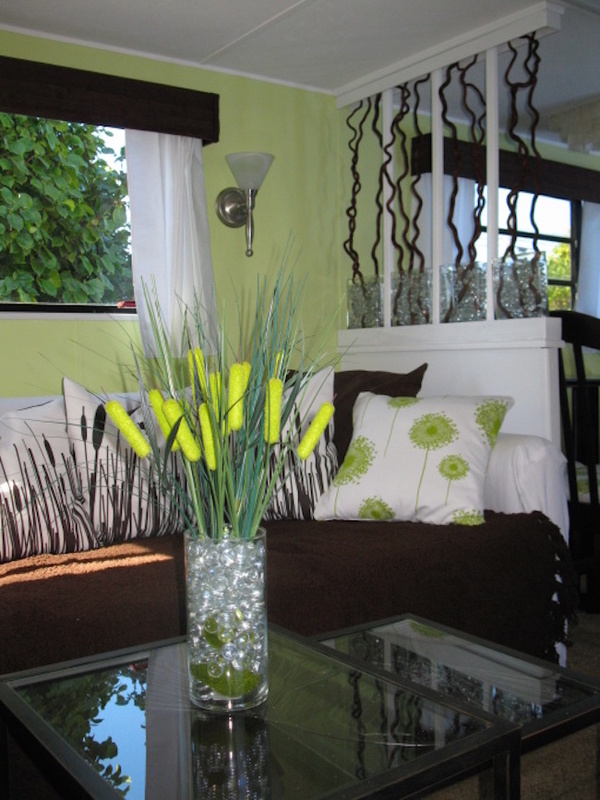 Touches of color and nature inspired accents turn this RV into a peaceful and relaxing home. 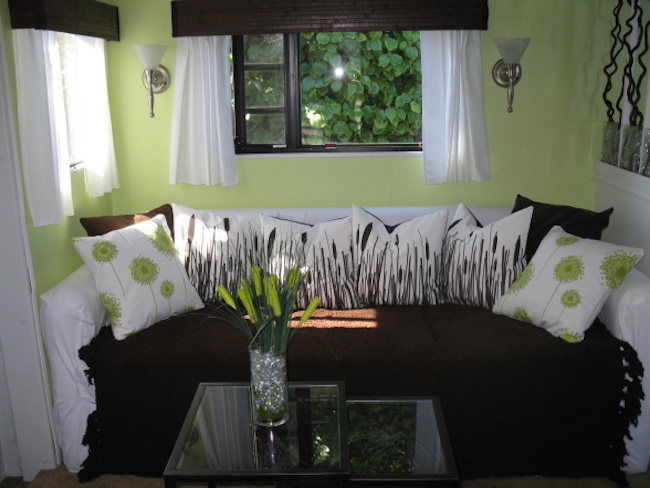 The nature theme is carried to the new cushions on the couch. 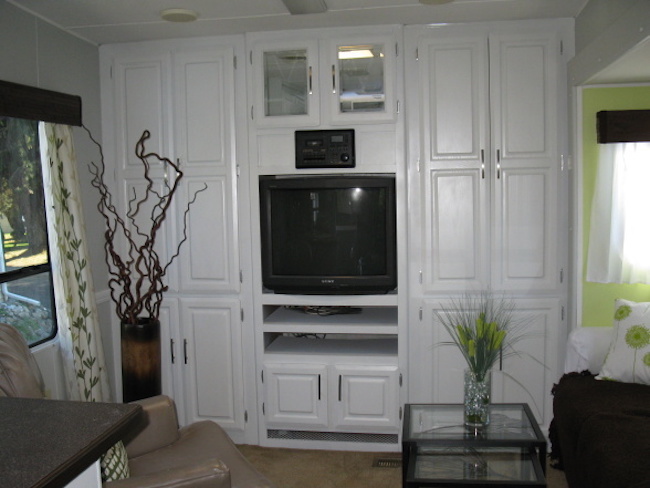 Freshly painted white cabinets brighten up the entertainment center. 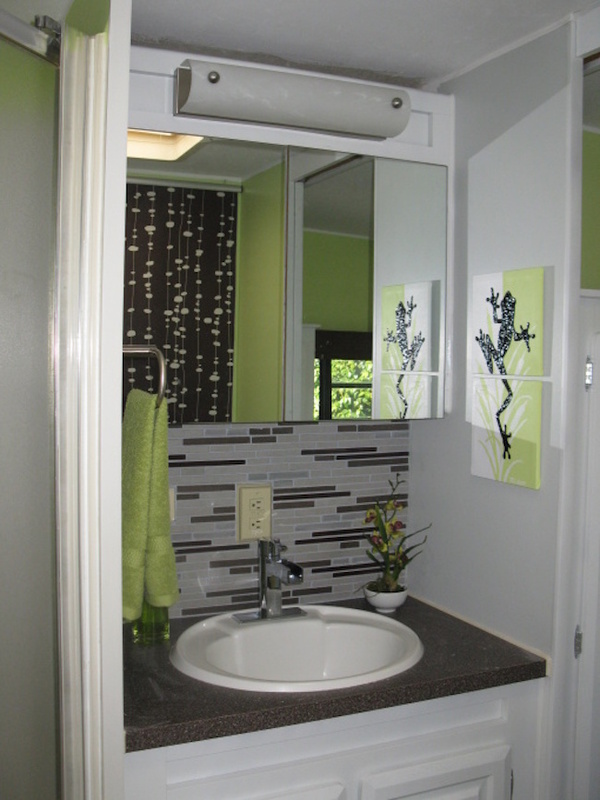 She added more stick on tiles to the bathroom backsplash and hung another homemade painting on the wall. 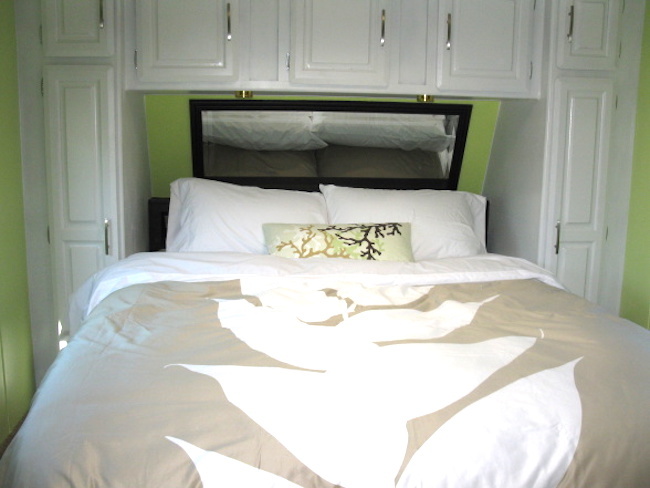 The bedroom now has a bit more life to it, and she continued the green and white theme of the trailer. 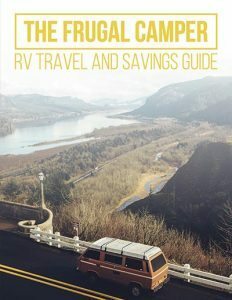 It seems that these titles are all over the RV, and they make a great impact on the trailer’s new design. 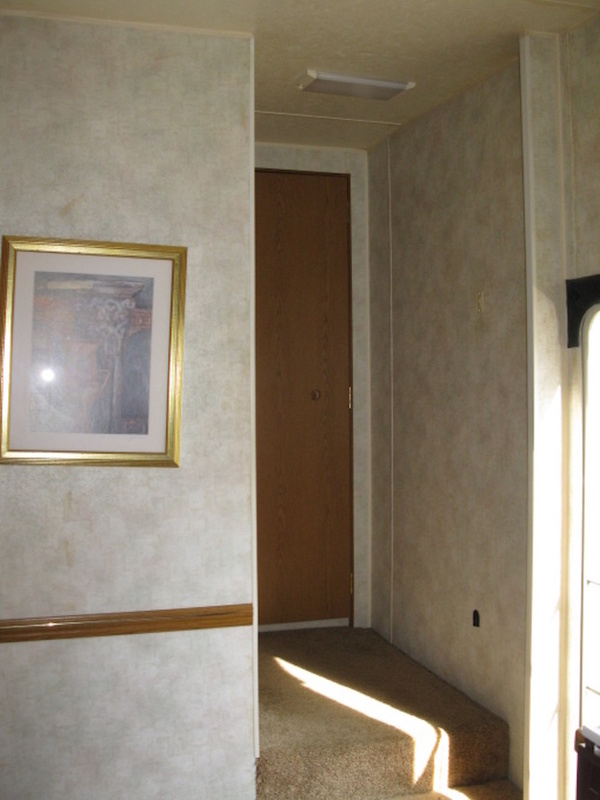 With this makeover, anyone would be proud to call this trailer home. I dare to say she has great taste and chose a nice balance of colors. I think she did an amazing design and would love to see more of her talent in the future. Wouldn’t you?